Welcome, Friends!! Can you believe that we had over 160 of you link up last week? We're way beyond anyone person being able to visit every single blog, but I hope you're able to move around and meet one or two new people each week and check in on a few favorites. As I mentioned before, October caught us a bit by surprise, being so busy and all. But I see a clearing on the calendar in about another 7 or 8 days... if we can just hang on a bit longer! Still, I managed to do a little bit of gardening with the help of my oldest daughter. Thankfully, a few parsnips and carrots actually sprouted, so I've covered them with my low tunnel hoops and agribon. We planted some more lettuce, kale, and beets, but this time in raised beds. I pulled the tomato plants and actually hung them up in the garage to see if they would ripen this way. If not, I'm making lots of green tomato salsa, relish, chow-chow... whatever! Did you think I had abandoned the Preparedness Challenge? Not a chance! We're just linking up once a month instead of weekly to give preppers a chance to get stuff done. Weekly was just a bit too often for most of us. Each of these three areas are important because there are different kinds of situations that might require you to prepare differently. And it's just a good idea to make it a habit to prepare as a way of life. As of October 31st, I will have officially completed my C.E.R.T. training and will be a Community Emergency Response Team member. Wow, have I learned a lot! And it has blessed my socks off to learn what is already being done in my little rural community. Seems like I'm not the only one who is "off my rocker" prepping! We had nearly 60 people attend and several were administrative personnel from our community. G.O.O.D.Y. bags are becoming quite the norm around here. One thing that was really a confirmation for all my prepping was the fact that the class leaders (several retired firemen) have stressed that WHEN the big earthquake hits California (and they stressed not IF, but WHEN), we can expect to be on our own for a minimum of a month. That's no water, no electricity, no natural gas, no ambulance service, etc. Another thing is that I learned all kinds of emergency things like cribbing, emergency triage, how to use a fire extinguisher (really, I had never actually used one), and stuff like that. And now, I'm connected to a group in my immediate neighborhood - a team! When an emergency strikes, we know where to meet and then we start helping each other based on our training. I really like that! Besides the C.E.R.T. class, I also planted more fall crops such as lettuce, kale, spinach, and beets. My first batch of beets didn't sprout. However, I was pleased to find that some of my carrots and parsnips that I thought hadn't sprouted, actually did! We harvested the tomato plants and hung them in the garage to ripen, stacked more firewood, and added a frost blanket to some of the veggies still out in the garden. I hit a couple of good sales for my food storage, such as buy one case get another free of organic diced tomatoes. I ordered an extra bag of wheat this month, and started my emergency meal kits, which I still need to finish. Finally, I'm putting together another G.O.O.D.Y. bag just for C.E.R.T. stuff. I also picked up a special tool to turn off all utilities (kind of a multi purpose tool) which I'll keep in my bag. Light weight for your bag and handy to have on hand so you don't have to hunt down the right tool. Hope to have that finished by Monday. So that's it for me. How did your prepping go? Please be respectful of our challenge and only add a post on one of these three preparedness topics ONLY in order to retain the integrity of the link up event. I have enabled the "like" button on the linky and I'm asking readers to give a thumbs up to all blogs that are on topic! And be sure to take the Preparedness Challenge picture and add it to your blog so others know you're participating and hopefully they'll join up, too! THANK YOU!! 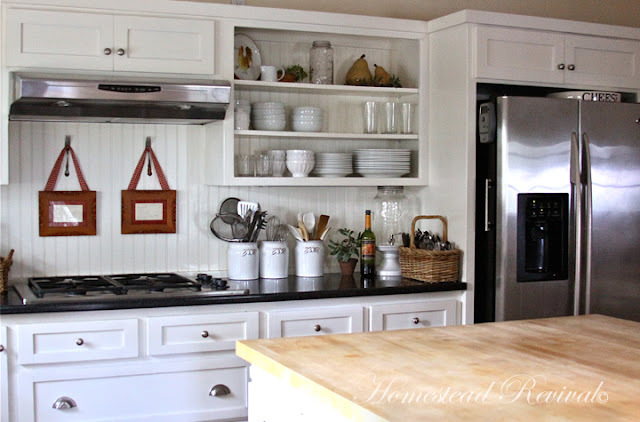 Several elements help pull off the farmhouse style in an otherwise basic kitchen. Bead board, open cabinets, drawer pulls, lighting, flooring, and accessories. 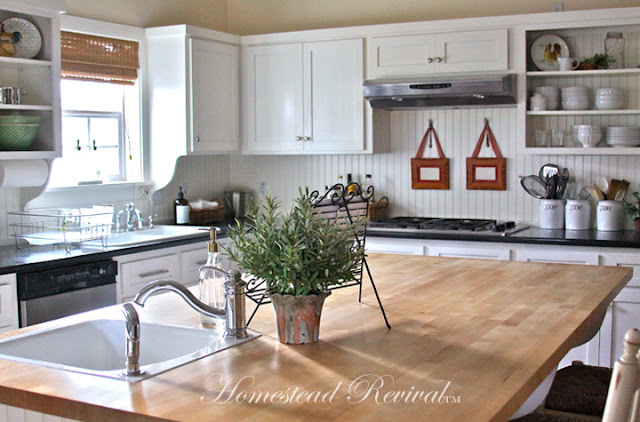 I could not afford an expensive farmhouse sink, so I opted for a really large, deep sink with a small side sink (in addition to a large vegetable sink in the island). In the main sink, I can lay an entire cookie sheet or griddle down in the bottom which is wonderful for messy cleanups. Oh, and did I mention that I like multiples? I don't have a lot of fancy kitchen tools, but what I do have is almost always found in mass... kitchen shears, vegetable peelers, plates, bowls, ramekins, etc. However, be careful not to clutter up the space with too many things! Instead, keep wide open spaces for work. Declutter regularly and re-evaluate what should be out on the counter. 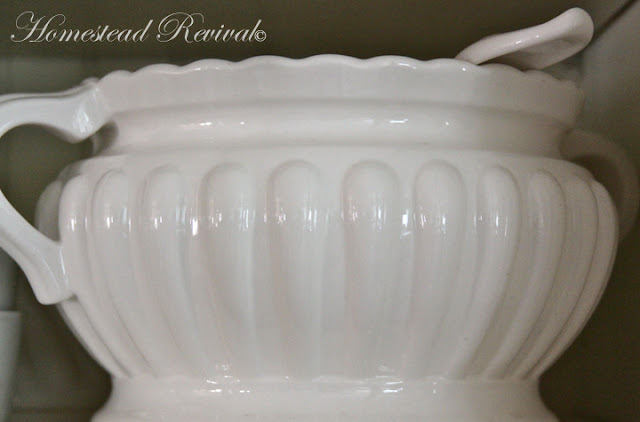 Avoid "cutesy" items if you want that sophisticated farmhouse style. Go for things that are more classic or slightly retro in feel, such as the reproduction clock below (from burkedcor.com) or the baker's lighting (from Restoration Hardware - my biggest splurge and well worth it! Sorry it's no longer available.). 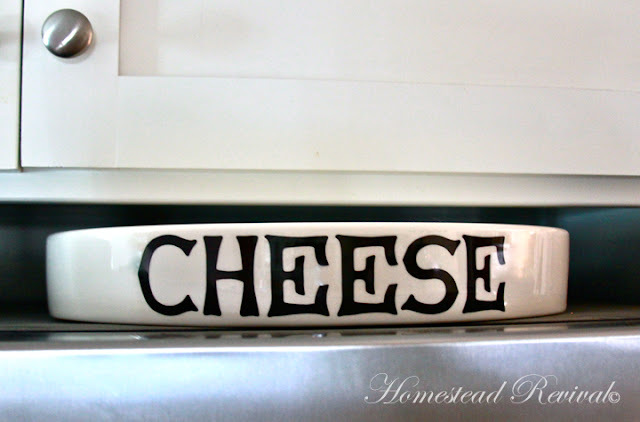 Recently I won this gorgeous farmhouse-style Joanne Hudson cheese platter from Delores @ Vignette Design! 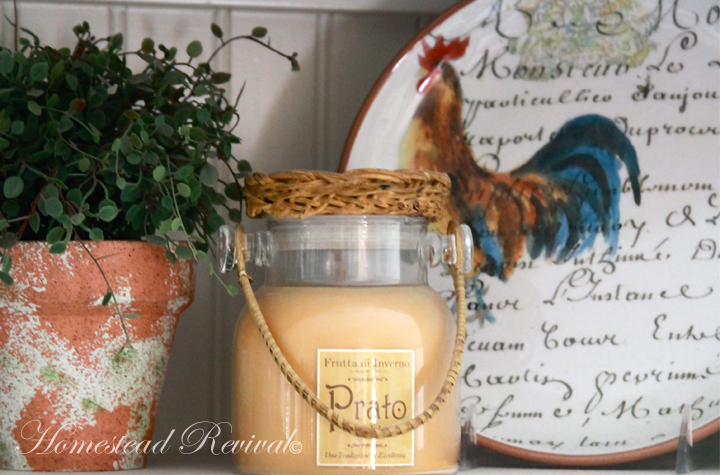 I love how it adds a little european country feel to the room. There you have it. 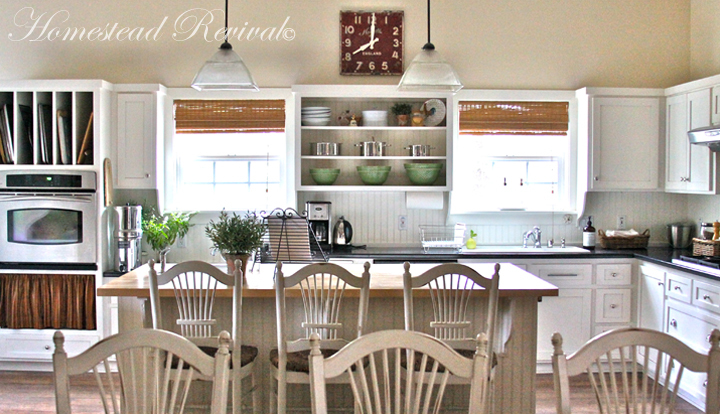 My farmhouse kitchen; hub of the home. Would I change anything? Sure, hindsight is always 20/20, but for the most part, it's a dream come true. A word to the wise... if I were to do it again, I would put in a double oven (what in the world was I thinking? 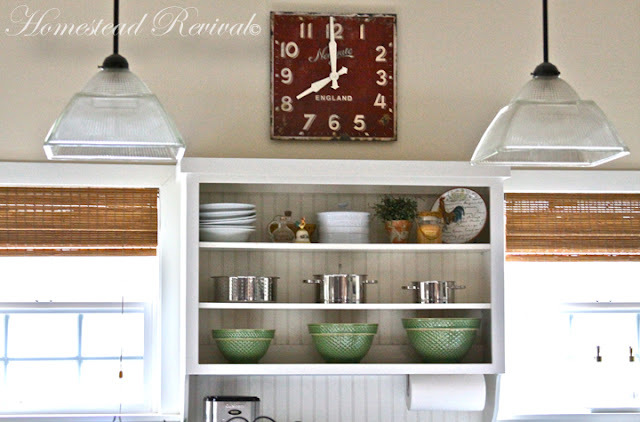 ), I'd either lower the ceiling in there or I would have put the bead board up on top and subway tiles down below as the backsplash. 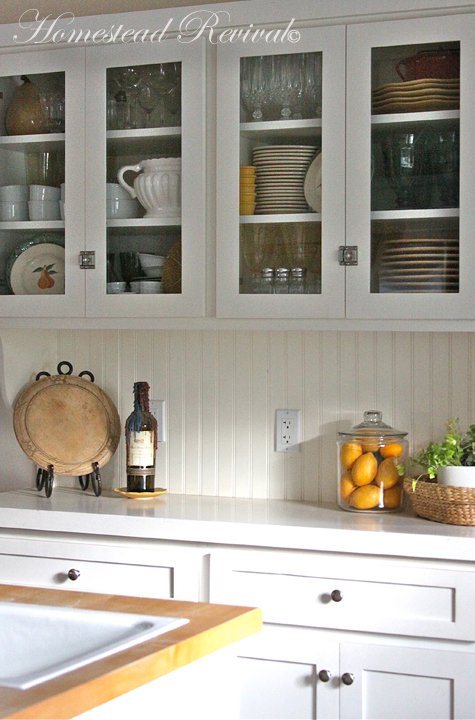 The few closed cabinets would have glass fronts, and I would have used a lighter color on the countertops. 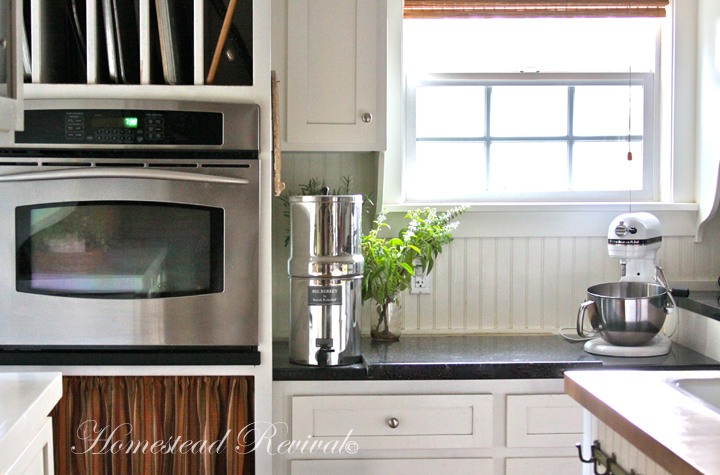 Finally, I would have done a different treatment above the stovetop. 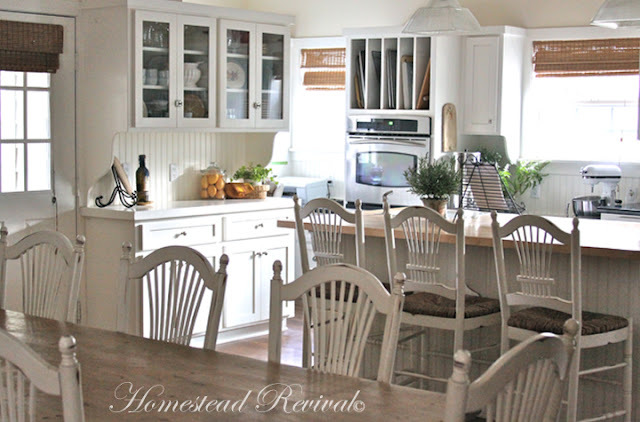 The cabinets above are useless and a dramatic focal point would have been dreamy. If you have lots of traffic in your kitchen, beware... white cabinets on the bottom get VERY dirty and lots of wiping removes paint. I've thought about painting them a different color, but I love the clean white look. So I'll probably wait til the kids are older and then repaint them myself (ummm... I mean my husband will do most of the work and I'll assist!). In the photo above, just to the left of the oven, there is a little nook where my office is located. I had my husband add it so I would be as close as possible to to all the action and have a space to organize recipes, plan menus, and answer the phone. That tour and more to follow! 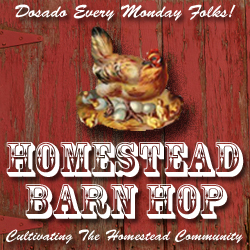 Welcome to the Monday Homestead Barn Hop! 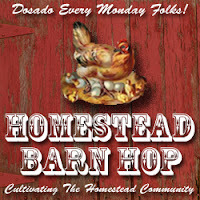 I love how so many of you start your week with a round up of ideas to cultivate the on-line homesteading community. It's amazing all the ideas and wisdom that gathers here each Monday... thank you for joining in and linking up week after week! I don't have pictures yet, but the front door now has red paint! Woo hoo! Three more doors to go and some trim work that must be painted and then I'll take some photos and post them. (Knowing how fast we move around here, it could be months!). So, that's what's happening here. What about at your place? After reading a recent article by William Bennett on the subject of raising boys to be men, I could not leave this topic alone. Rightly so, Bennet has pointed out that the majority of boys in our modern society have delayed becoming men; that their adolescent years have been prolonged well beyond the historical age of maturity, and if they reach manhood at all, it's fast become the exception, not the norm. And just to clarify... this is not just a problem with our society at large, but it's a huge problem even within the Christian community. 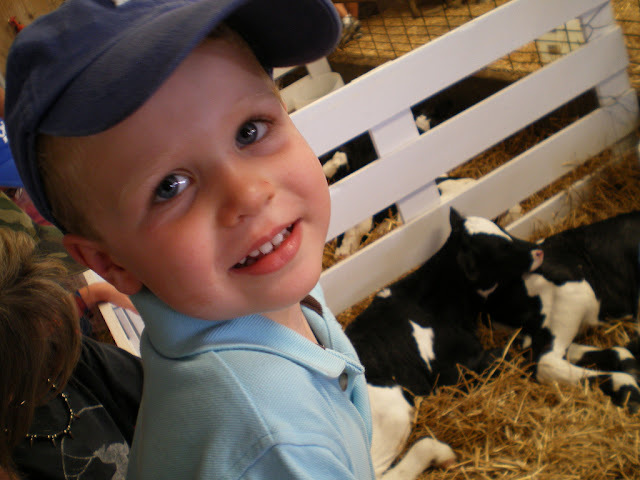 I am posting this with great trepidation... after all, who am I to write on raising boys? I'm the mom of three girls... The only male in this house is my husband. Believe me, I have a vested interest in boys, for my girls will hopefully marry mature godly men someday! Perhaps raising grandsons will be in the future. And growing up with only a brother and mostly male cousins didn't go unheeded... I had to WORK at being a girl with all that "male-ness" to contend with! Many of you might be able to write a better post than this one because you've successfully raised boys who became godly men, but humor me if you will and consider some of my thoughts. Especially if you are new to parenting and you have miles to travel through the journey of raising children. And let me say right from the beginning, moms of boys have a REALLY tough job raising them to be manly in our 21st century culture. It's a lot easier to write on something than to put it into practice! My heart goes out to you for the daunting task at hand. But it isn't impossible in the least. This isn't the first time in history that parents have faced this challenge and if the Lord tarries it won't be the last. To make excuses dooms our children before we even get started! Better to embrace the challenge and wear out our knees in prayer than to whine that it can't be done! Second, to write a post with "five simple steps to raising boys" trivializes the issue. It can't be accomplished that simply. Books upon books have been written on the subject and most assuredly will in the days ahead, however, I hope to get the conversation started here at Homestead Revival with ideas that will spur parents to consider this topic at length and make applications where it's appropriate for their families. • Obscured roles within the home. In general, we talk a good talk, but we don't walk the walk when it comes to the husband-wife relationship. Our men either shrink from being authority figures at all because wives refuse to be submissive (or do so subtly), or the men become unruly and overbearing in order to try to grasp and retain authority. I know that sentence seems kind of ugly on both ends, but it has been the struggle in marriage since the Garden of Eden. The only difference now is that women are mostly working outside the home, have freedoms they never dreamed of even 100 years ago, and many are raising their children alone. Is it any wonder boys shrink from being godly men when they aren't sure what that means? Ladies, we cannot make our men be leaders in the home, but we can be submissive and honor our husbands, giving them respect, even when we don't think they deserve it. (Do we deserve respect back when we fail to show respect?) Within Christian circles, I've heard many things come out of the mouths of women that are totally antithetical to being submissive wives (mine included! I've shocked myself at times!) Many men (I dare say, most) will shrink back from taking on their god-given role as the leader when the wife is constantly pushing against them in the area of respect and submission. Why then, would our young men aim for something that they see as an impossible challenge? Why would they jump into a marriage where they feel they will be disrespected? And if they did, would they even know what Biblical leadership really looks like? • Vicarious experiences through electronic entertainment that don't really challenge maleness. That's a mouthful! Even secular researchers recognize that we are on a dangerous path with all our new-found electronic freedoms. And I'm sure you're not surprised that I have strong opinions about electronic entertainment, but putting all that aside, the best of the best in video games will always fall short because they don't really challenge boys to be men. Strong thumb muscles from remote control workouts do little to strengthen overall body muscles and expel excess testosterone. In fact, a steady diet of internet surfing, Facebook time, texting, video games, and the like has a better chance of breeding laziness than anything else. • Boys need to be outdoors! 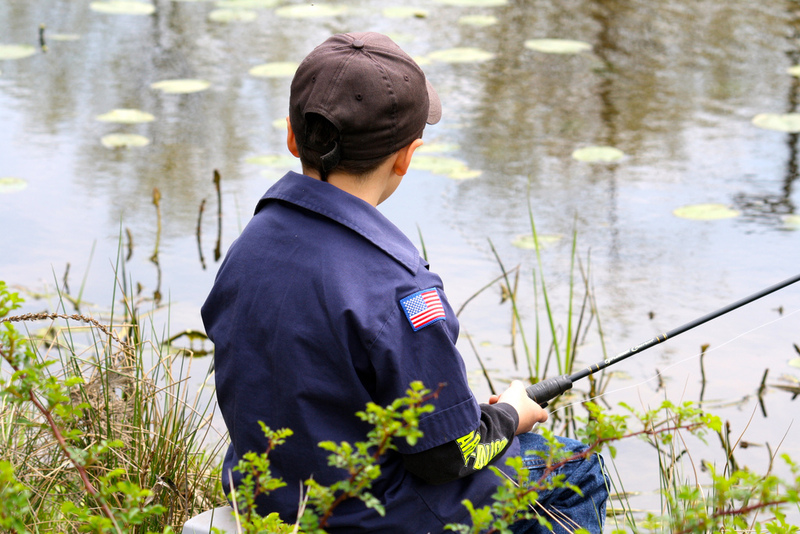 Even if they don't want to, boys should be outside for a portion of each day. Even if his talents and inclinations lean toward the arts, academics, or some other indoor activity. Nature has a way of opening up his heart and mind to God while exercising his body. And if the Lord calls him to some vocation that requires a lot of desk work, he'll need to be familiar with the outdoors to keep his body fit and strong for the task at hand. He needs to develop the habit of nature. • Boys need to conquer, protect, and take dominion. Throughout history, this has taken place within the context of survival for daily life. Farming, hunting, fishing, building shelters (helping to construct a home), learning to fight... all skills a boy not only would need in the future, but skills the parents needed him to practice as quickly as possible for the good of the family unit. Sports took place as a means of community entertainment, but only sporadically, occurring mostly at social gatherings on special occasions. Today, we've substitute real skills that last a lifetime for football, baseball, basketball, and soccer. And mostly because many boys do not have access to hunting areas and such, especially if they live in urban areas. PLEASE hear me when I say that sports are not evil or bad for our kids as a general rule. Two of my very own children do so with great joy. But we are fooling ourselves if we think that these are adequate substitutes for conquering and taking dominion; for protecting and learning skills for a lifetime (precious few will ever be engaged in sports as a career). Have we convinced ourselves that the only place a boy can learn team work and submitting to authority is within the context of sports? Are we running them around to so MANY sports that they don't have time to learn life skills? Ask yourself what IS your son is doing in order to learn conquering, protecting, and taking dominion? • Boys need responsibility early in life. 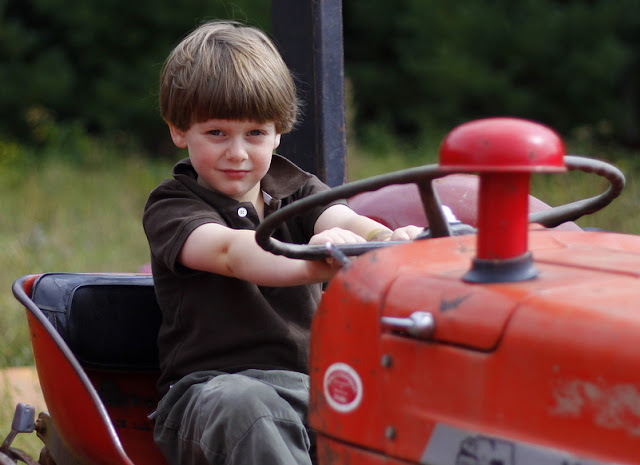 Chores and jobs should always be age appropriate, but we must be careful not to "dumb down" our children, assuming they are too young for some task. Most of the time, we underestimate, not over-estimate, their ability to do something. And it's okay if they struggle with it in the beginning; it will give them greater satisfaction and genuine self-confidence (not the sinful pride of false self-esteem) when they master a goal that seemed impossible only a few days prior. • Allow boys to fail. This is a good thing when the stakes are low in order that they know how to recover, get up, and try again. And to do so with dignity! Too many moms rescue their boys, never allowing them to own up to their own mistakes, preventing them from facing giants, and testing themselves (proving their worth) against blows they will most assuredly take as men. I'm not advocating setting our boys up for failure; life will bring plenty on it's own and we don't need to hunt it down. But in today's society, we err on the side of rushing in to protect them from little opportunities that would serve to make men of them in the future. • Boys need entrepreneurial skills. Even if a young man ends up working for someone else, having entrepreneurial competence develops a sense of responsibility, assertiveness, initiative, thinking ahead, planning, execution, and a host of other skills he'll need someday as a leader within the home or on the job. Don't wait until they are of "legal" age to work outside the home for someone else; start them earlier with their own small home-based business. Who knows, it could be the beginning of a life-long career. And if times are tough, they'll know how to roll up their sleeves and find ways to support their family rather than waiting for the government to provide in the unemployment line. A caveat for mothers who do the majority of homeschooling of their boys through their teen years... you'll need to be extra careful not to overly "mother" your young man. It's our God-given inclination to protect our young, nurturing them until they leave the nest. But we should be weaning them off our coddling, not prolonging it. Consider the possibility of your son working independently for most of the day on his studies, while reporting to dad in the evening. Fathers can further help by assigning them some manly manual work for a portion of the morning or afternoon, such as cutting firewood, clearing land, working on an old car, repairing something in the home, etc. If you're a single parent, consider an apprenticeship with another godly man for your son. And for those raising daughters only... it's easy to become critical when surveying the male population coming up, but beware of being too hard on the mothers of boys or the young men themselves. No one will ever parent perfectly and often we judge the unfinished product. Uphold your sisters and brothers in prayer, with all humility and love. As you can imagine, I have not even begun to scratch the surface of such a deep topic (and applications are running rampant through my mind). It's a hard topic to address because it strikes a deep chord in everyone's soul. Take heart, dear mothers! He wants your little man to stand strong and be godly even more than you do and He will be there to help every step of the way! Please share the #1 thing you feel boys need in order to become godly, mature men, after a relationship with Jesus Christ. The first three days of any emergency crisis are always the most critical. It's not that problems can't or won't occur after the initial event, but psychologically, people are dealing with the trauma of the moment and it can be difficult to think about something as simple as preparing a meal. Especially if one has the added challenge of the grid being down... no electricity, no gas, no water. Having three days worth of meals ready to prepare would be wise, would it not? I'm not talking about your regular food storage. I'm talking about everything you need for one meal... in a box. A meal that doesn't require anything but a manual can opener and perhaps a bowl and spoon to mix. Also, it would be ideal if the meal did not require cooking over a heat source (since you might not have one right away due to ongoing weather issues or some other reason) nor would it require a lot of water (pasta requires a lot of precious water that may be scarce). And it would be healthy in that it is as free from additives and sugars as possible, but still packaged for long term storage (say 6 months to a year). Everything would be placed in a box and labeled "Tuna Meal". Once every 6 months to a year, you would actually eat this meal and replace it's ingredients immediately in order to keep it fresh. (Be sure to label it with a "consume by..." date.) 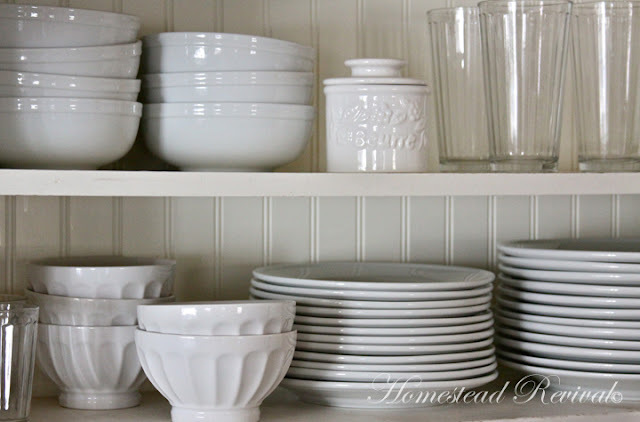 Store it in a cool place in your pantry up off the floor for maximum freshness. Now imagine that you had 3 days worth of these meals, each in their own box, ready to go! Three breakfasts, three lunches, and three dinners. 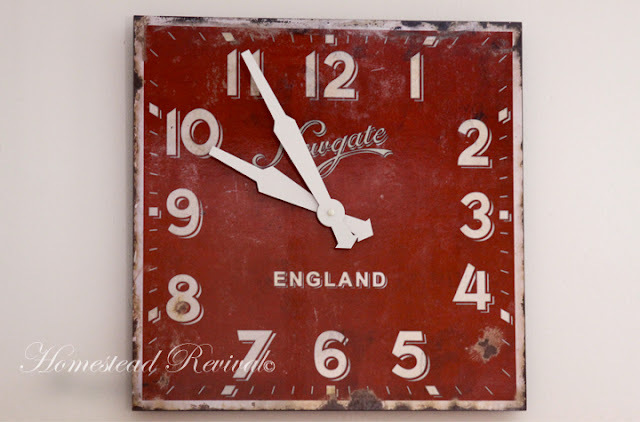 It would give you time to get back on your feet. And the preparation would be simple. Just add one meal to each shopping trip over the next few months until you have what you need. For the remainder of the month of October, I am leaving a linky open on this post for you to create one Emergency Meal Kit to share with others; and you can gather ideas for your own meal kits as well. You do not have to have photos, just write up what you would put in the box, add a link to this post, and then come back here and link up. Remember, this is an entire meal not just an entree! • note if the meal is gluten free, nut free, dairy free, etc. You might want to purchase a second can opener that is stored in the first box at all times!! That way, you don't have to hunt it down during your hour of greatest need. I can't wait to see all the creative ideas each of you comes up with! 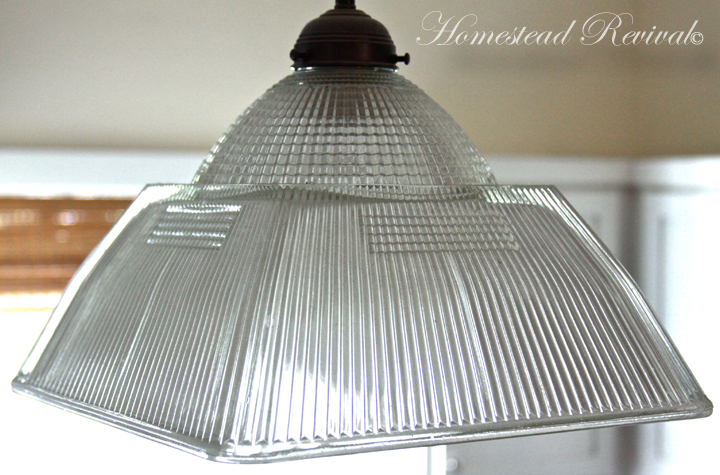 What's New for Homestead Revival?